Pauanui trig and back via the cove. Approx 3hrs return. A wee bit steep, and a little awkward to follow the uncut track down to the cove but worth it for the view. This is another 5 star walk with the benefits of a freedom camping spot at its start (South End Reserve), complete with BBQ and picnic area. Yes that's correct you heard me right. Right in the middle of Pauanui, in the heart of the Coromandel/Thames district council you get to find not just this one but three new designated freedom camping spots. 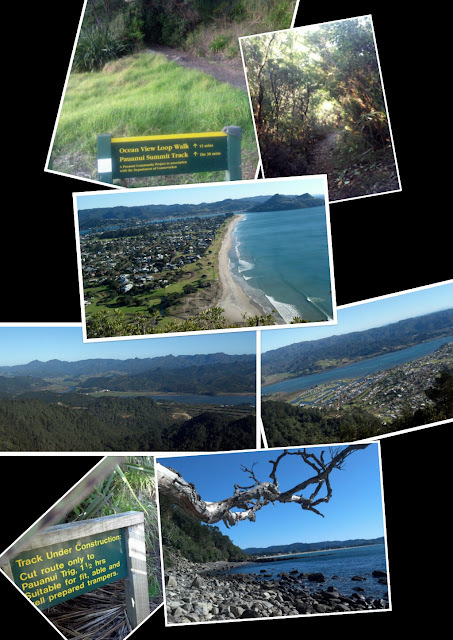 Wow Coromandel I take my hat off to you for making such a great effort. PS Love the recycle bin.